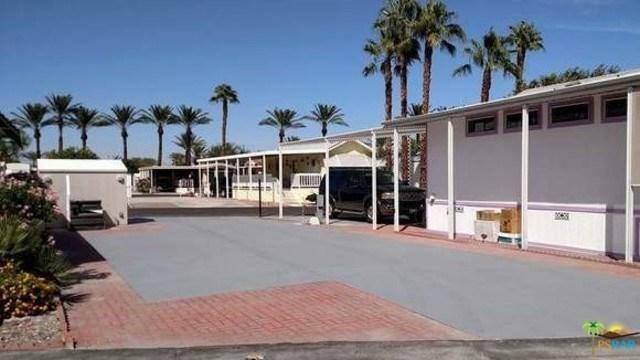 This Lot is in the sought after Desert Shadows RV Resort. The resort is a gated Senior Community with 460 units. Features of the resort include 2 well maintained club houses an 3 satellite pols 1 indoor Olympic size lap pool, sunken lit tennis and pickle ball courts, indoor shuffleboard pavilion 1600 sq ft ballroom, fully equipped fitness center, library with WI-FI and broadband, card room, hobby room, wood shop, putting green and picnic areas.This large lot is located next to a lovely park model also for sale. Need to spaces...we will bundle both park Model and lot for $120,000. That is a savings of $12,000. Bring your best friend and start your vacation.